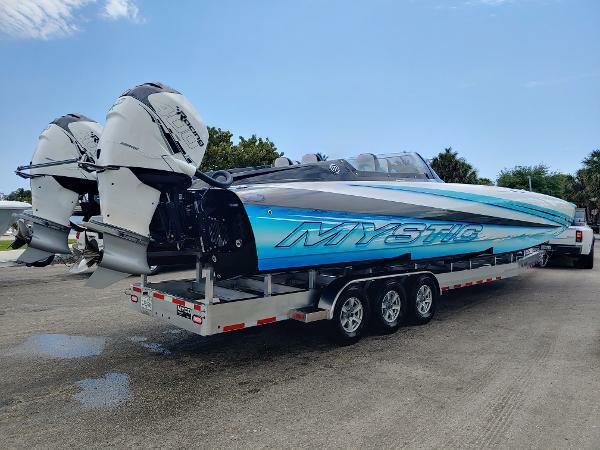 Here we have a magnificent LIKE NEW C4400 Mystic powered by Mercury Racing 1350's and M8 drives on a custom hydraulic tilt trailer. 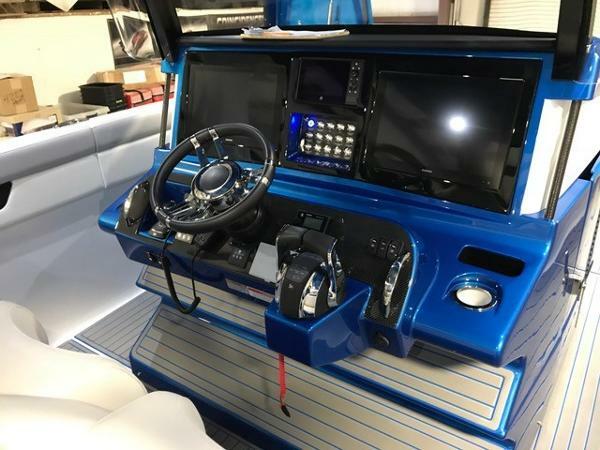 This machine is turn key and ready to go with the latest and great in technology from the $25,000 fully custom Waves & Wheels stereo system ( Fusion Head unit with the following: 6 – 8” Coaxial Blue Wave speakers in cockpit, 4 - 8” Coaxial Blue Wave speakers on rear hatches in custom W&W enclosure, 4 – 8” Coaxial Blue Wave speakers in a custom W&W pod on the front deck of the boat controlled by an electric hatch ram, 4 Blue Wave 10” Subs in custom W&W sealed enclosures, Fusion Amplifiers, Extra Battery bank and ProMariner quad bank charger... Garmin 17" GPS and 12" Smartcraft units, to the amazing twin 1350 hp QC4V (quad cam 4 valve) power plants. 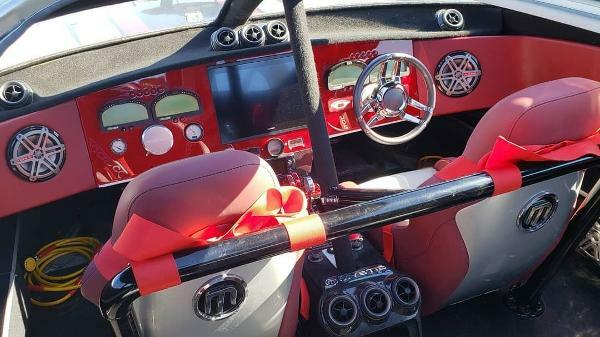 The details in the Stephen Miles Design custom paint must be seen to be appreciated as the photos do them no justice. 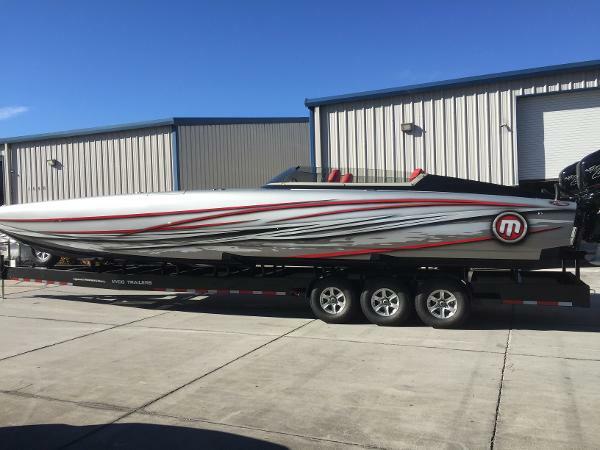 She is turn key ready and awaiting her new owner. 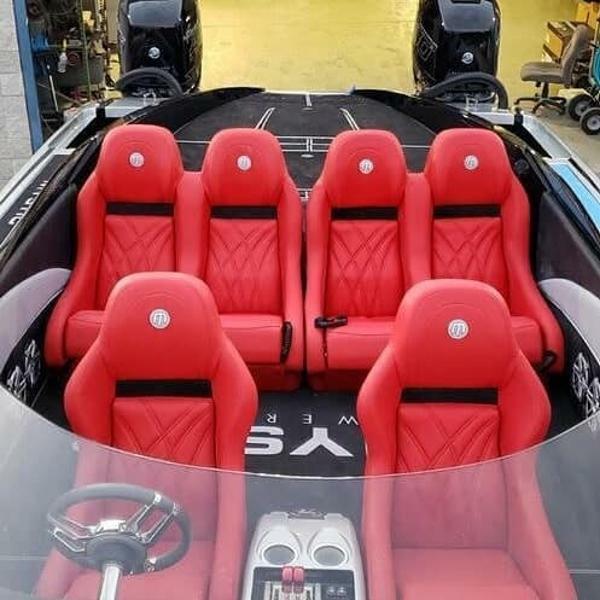 If your looking to cruise at 100+ and want to stretch her legs comfortably into the 160's and still be able to relax on the custom rear sun-pad at your local raft-up, then this is the machine to do it with. 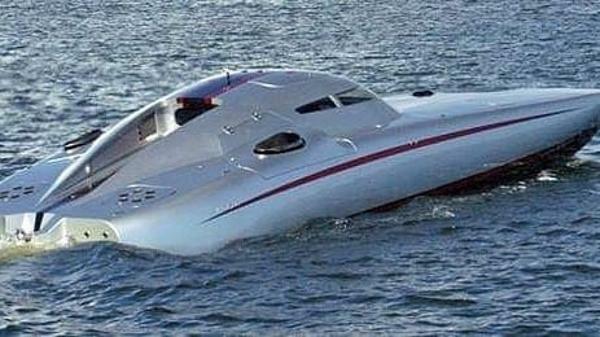 To duplicate this machine new would cost well in excess of $1 million dollars as this one is equipped and rigged. 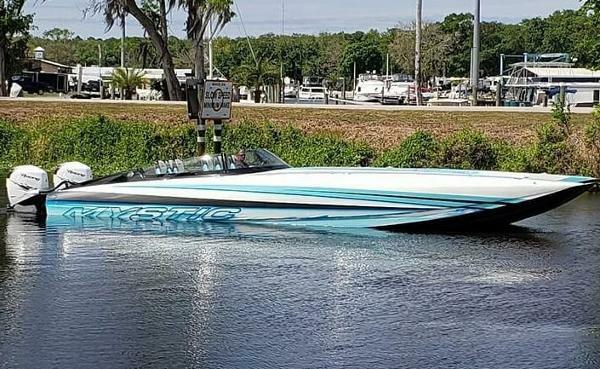 FOR SALE AND AVAILABLE FOR IMMEDIATE DELIVERY. 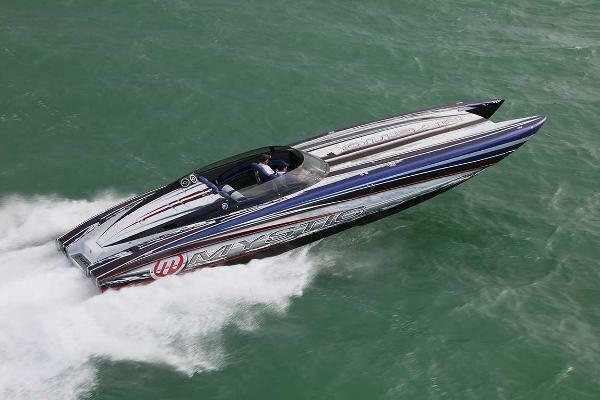 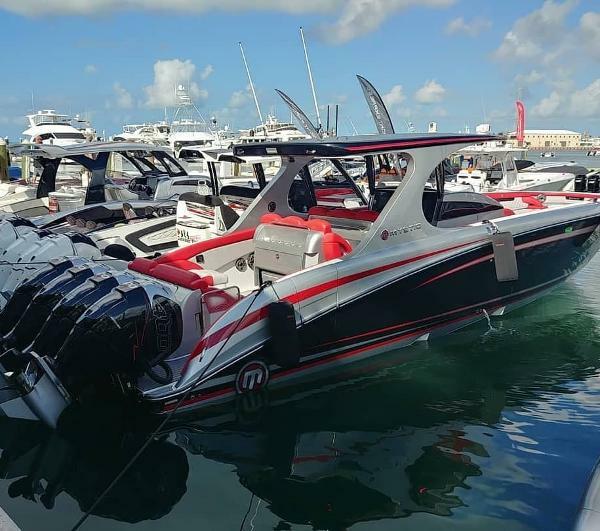 PRE-MIAMI BOAT SHOW SPECIAL PRICE! 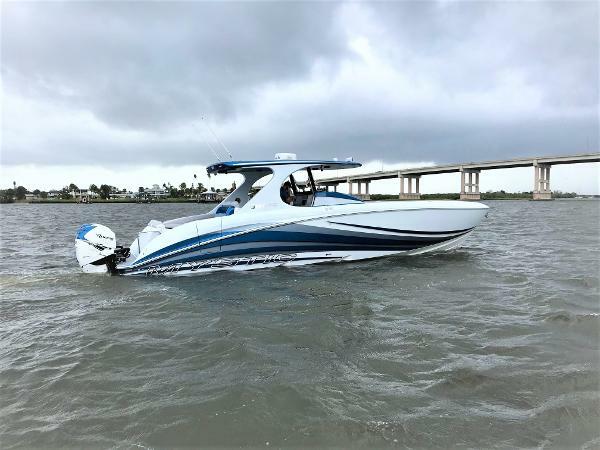 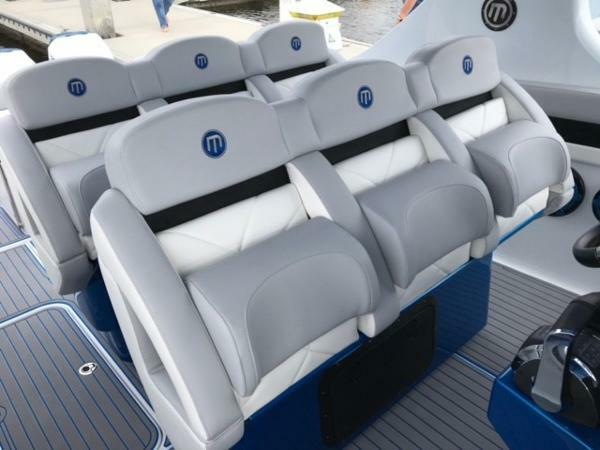 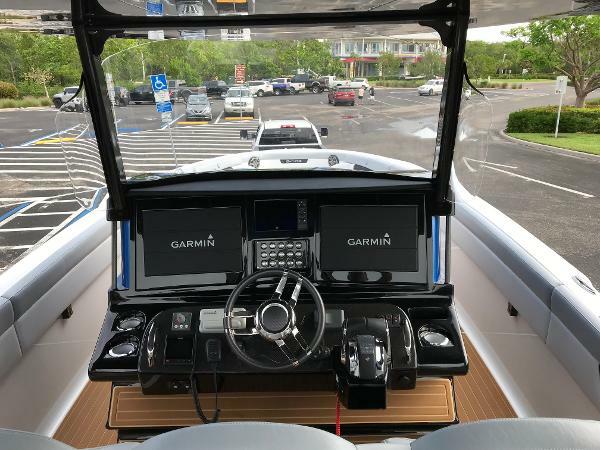 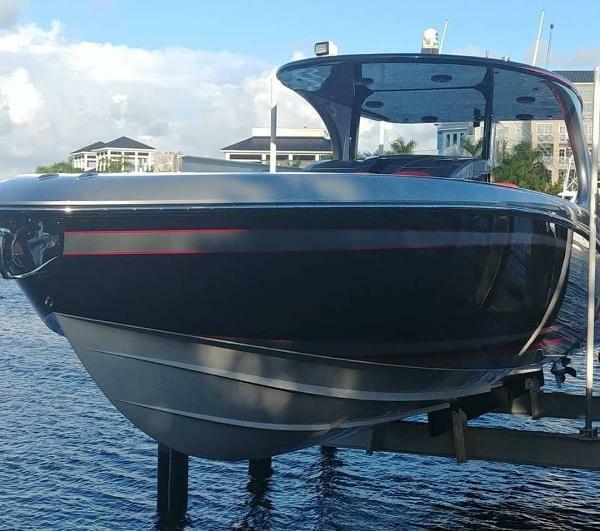 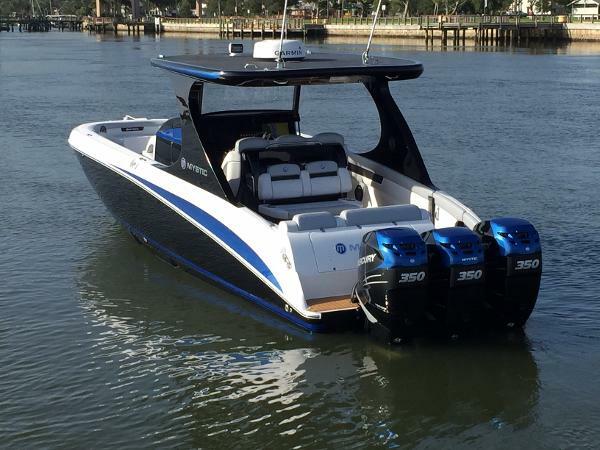 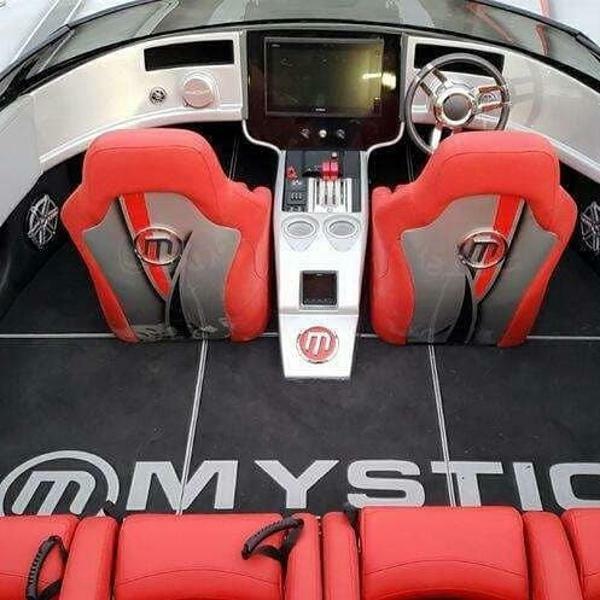 2019 Mystic Powerboats C3800 cat w twin Merc 400R's, incredible custom paint, dual steering helms, battery charger, garmin 7616, smartcraft vessel view, killer full JL audio system, hydraulic jack plates, SeaDek and much more. 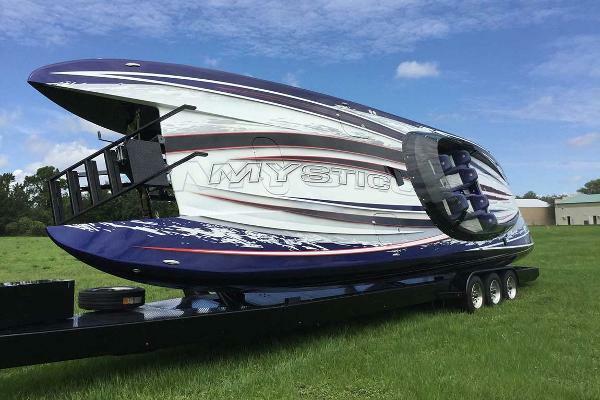  Custom Myco trailer available at an Add'l cost! 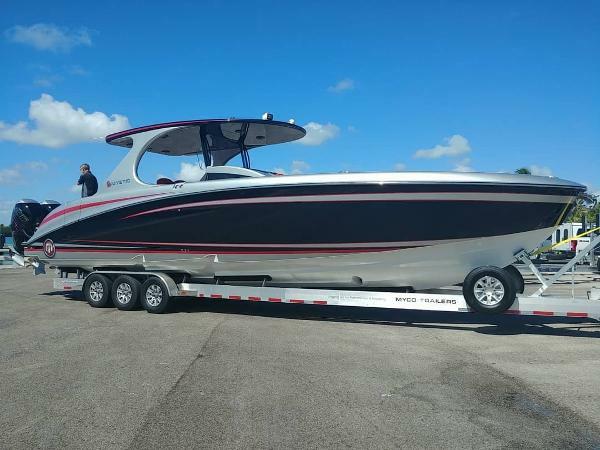 She's a true 38 footer w a 38'6" hull length and a 66" wide tunnel !! 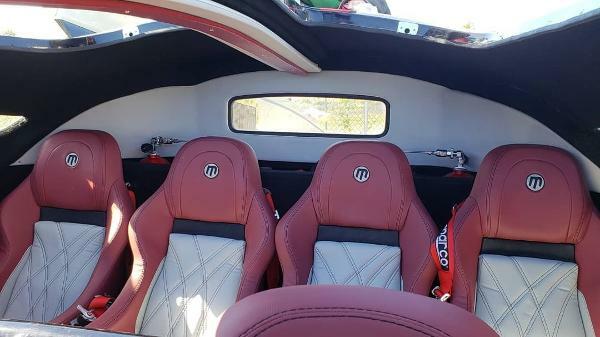 TRADES WELCOMED AND FINANCING AVAILABLE ! 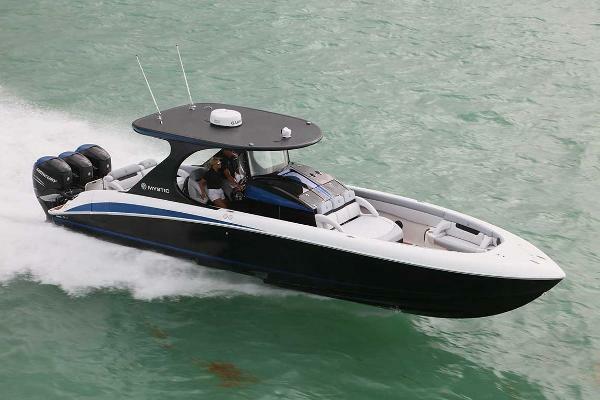 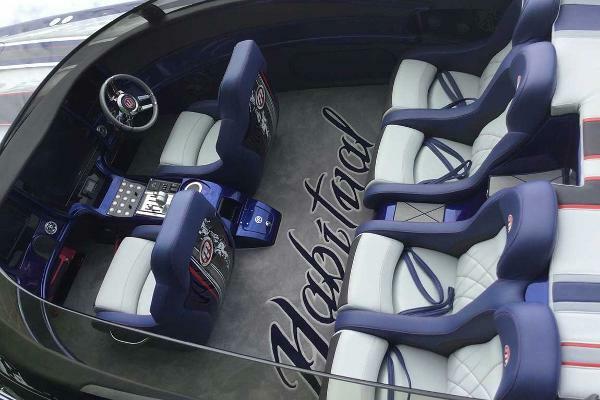 SPECIFICATIONS LOA w/ Engines: 41' 8" Hull Length: 38' 6" Running Surface Length: 38' Tunnel Width: 66" Weight: 6,500 lb. 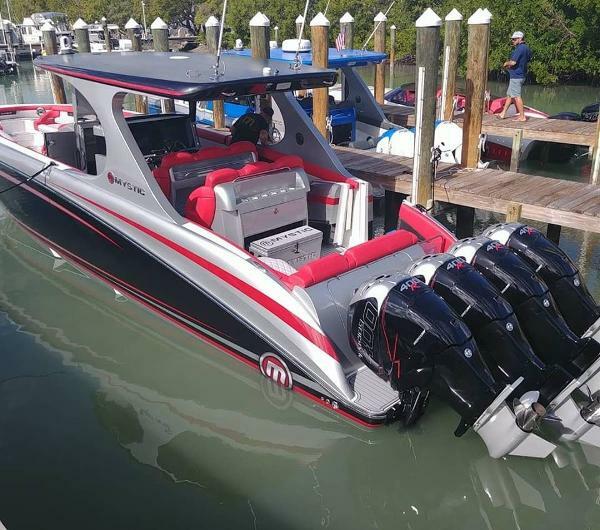 Fuel Capacity: 200 gal.